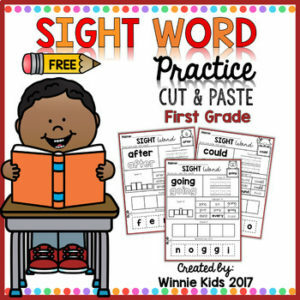 FREE Sight Word Practice Cut and Paste will engage your students. This is great for Morning work, word work, homework, literacy centers and more. Each page includes a read it, color it, trace it, spell it, highlight it and build it. Thank you for stopping by and enjoy.